Construction Underway - NEW TRAILS AMLOST READY! 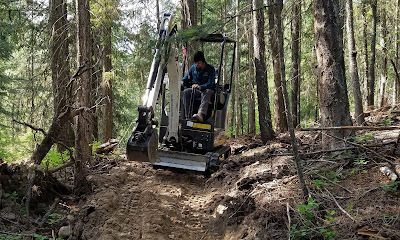 Construction has started at Sun Mountain and crews have been working for the last week connecting Pete's dragon down to Magpie. Really hoping to get the mile of trail done by next week. 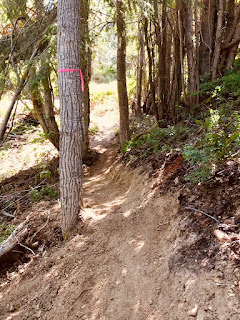 You will now be able to ride single track from the top of Thompson pass down to the chickadee parking lot once this trail is completed. Woo Hoo. Its then off to constructing the Thompson Pass Climbing trail ( an integral component of the ridge trail)​​. Stay tuned for more updates.